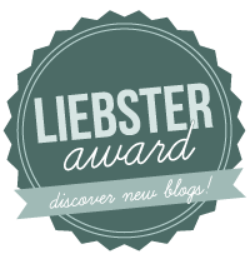 Many thanks to Rosemary Kneipp (a fellow Aussie blogger in France) for nominating me for the Liebster Bloggers Award. Rosemary, by another co-incidence, calls her blog “Aussie in France” (stating the obvious perhaps? Or are we are just on the same wavelength?) In any case, it is certainly worth checking her site out at http://www.aussieinfrance.com. This award is passed on to lesser-known travel bloggers to help publicise their blog within the blogging community, and encourages them to reveal a little about themselves through answering a number of questions posed by the nominator. In the usual blog-award style, it is a “pay it forward” agreement, to then nominate other deserving blogs – with the stipulation here being that they are travel blogs with less than 200 followers. These things have a way of evolving, but the numbers posed by Rosemary are 7 questions and 7 nominations. While many bloggers do not advertise how many followers they have, I have just discovered that if you click on the site name in your Reader, the number of followers is displayed. But you do have bear in mind that the number may include other social media “followers” who may or may not have even looked at said blog. So I will introduce yet another evolutionary change to the rules and nominate travel blogs which appear not to be getting the attention they deserve, and will use that “followers” figure only as a guide. The origins of this award are fuzzy, but “Liebster” is a German word, which seems most commonly used to begin a letter, as in: Liebster John (Dearest John), so my interpretation is that this award is so named because it celebrates the start of a blogger’s writing career. Well, that’s what I would like to think anyway. Perhaps it merely refers to writing postcards whilst travelling? 1. When you started your blog, what did you set out to do? I wanted to share our experiences both to inspire and inform: passing on handy tips, and saving others from repeating our mistakes. I aimed to include some useful information in every post. 2. Do you think you are meeting your objective? Has it changed along the way? Sometimes I set out to write a purely informative post, and sometimes my posts are totally self-indulgent and I wonder if I am going off-track. Funnily enough the latter are often the ones most positively received, so obviously it’s not a problem to my readers. 3. How would you classify your blog? I’m not really sure. But in terms of content, it would have to be “Lifestyle” – with travel, food and renovations being the main topics – and in terms of style, I aim to keep it easy-to-read, punctuated with plenty of photos. 4. Do you ever wonder whether you should keep it up or throw in the towel? If you do and still keep writing, what stimulates you to do so? 5. Do you have a writing schedule? I probably should, but I don’t. Working full-time certainly gets in the way, so weekends are usually “it” for me. 6. Have you met any of your readers apart from your friends? No, but I would love to, and some have expressed an interest in house-swapping which would be wonderful. 7. What is the best thing about blogging? And the worst? The best thing for me is the opportunity to re-live some of the best times in my life, but also relate instances when things have gone pear-shaped. It’s quite cathartic. The worst thing is when you think you have created a good piece and not one person “Likes” or comments. Disappointing, but honestly, not the end of the world. Aren’t We All Just Tourists Here? Is blogging the only writing you do? Do you have any literary training or professional experience? Where would you travel if time and money were no object and why? I look forward to reading your answers and checking out the next round of Liebster Bloggers Award blogs. This entry was posted in Blogging and awards, Travel, Travel in France, World travel and tagged 7, Answers, Award, Blogging, Less than 200 followers, Liebster Bloggers Award, Nominees, Questions, Rules, Travel blogs. Bookmark the permalink. I loved reading all your answers to my questions.- very interesting. I know what you mean about no comments when you thought you had written a really good post and comments that were unexpected. I’ve found that the more informative and complete the post, the less likely to get comments – why comment when you don’t have anything to add? Self-indulgent posts usually encourage readers to respond because of the feeling of empathy, i think. Good luck with your new blog and with renewed energy for this one. Very good points Rosemary. And thank you again for your encouragement. Congratulations on your nomination, the timing of which was fortuitous given your recent doubts.